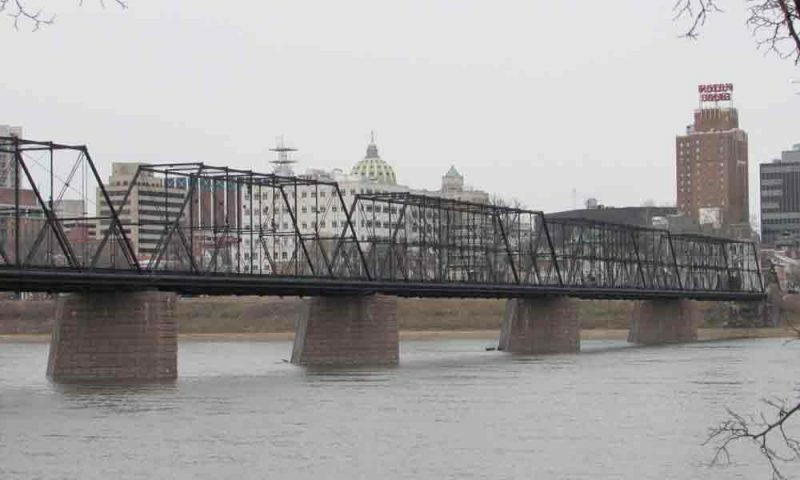 Harrisburg bridge getting more and better lighting - Kuharchik Construction, Inc.
Work has begun on a six-month project to replace all light fixtures on the State Street Bridge in Harrisburg with new ones that are more energy efficient, said Mayor Stephen R. Reed. Reed said the project will double the number of light poles and result in four times the number of lights on the bridge, increasing vehicular and pedestrian safety. He said the antique-style light fixtures were custom-designed for Harrisburg by Brinjac Engineering. The light poles will be made from melted-down used automobile engines. The existing lights under the arches over and adjacent to Cameron Street will be repaired and placed back into service. City spokesman Matthew Coulter said most of the $2.95 million project is being paid for through federal highway funds. City funds are covering $245,000 in design costs. Coulter said the new bulbs will last almost four times as long as the older bulbs, however annual costs will be about the same because more lights are being added. He said the project was required because the lighting on the State Street Bridge did not meet current federal requirements. Kuharchik Construction of Exeter was awarded the work to install the lighting, based on a competitive bid process, Reed said.